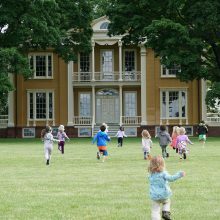 The White Plains Public Library is pleased to announce the addition of Boscobel House and Gardens in Garrison NY to the Museum Pass Program. The Library pass provides free admission for one adult and three guests of any age, plus a 10% discount in Boscobel’s gift shop. Boscobel House and Gardens is considered one of the leading historic house museums in the United States. Its Neoclassical mansion holds an exceptional collection of New York furniture from the Federal period. Situated in the Hudson Valley, fifty miles north of Manhattan, Boscobel directly overlooks the Hudson River, Constitution Marsh and West Point. To reserve a Museum Pass, please visit our Museum Pass reservation page; OR call us at 914-422-1480. Note: The Museum Pass Program is for White Plains Public Library cardholders only. Categories: Featured and Library News. I am a member of the Harrison, NY public Library. Does White Plains participate in the Multi Library Program and for Musem passes like Boscobel, can I Borrow or take out or reserve? Not sure what right terminology is. Our museum passes are only available to White Plains Library cardholders/residents.